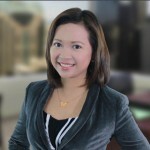 Property Management Services in the Philippines - PPE Inc. Investing in real estate doesn’t stop at purchasing properties, especially when you plan on generating ongoing cashflow with them. After buying or building the property, there comes marketing, evaluating prospective tenants, rent collections, repair and maintenance, making sure that bills are paid, etc.. All these can easily become a handful and before you know it, what you might have thought as something you can do in your spare time, is already taking up too much of your valuable time. Our professional and award-winning property management services can take care of all these things for you so you can focus on more important things that matter to you and your business. With PPE, you can have peace of mind, for we approach property management from the owner’s perspective. We take care of the units entrusted to us as if they were our own. That means your property will always be looked after and never taken for granted. * These rates are applicable for residential units within Metro Manila areas. For other property types and those outside of Metro Manila, our rates may vary. Please contact us for an appropriate quote. For 1-year contracts, one-month-equivalent rent for your unit. For less than 1-year contracts, 10% of the whole contract amount. For clients who opt to offer their units for short-term/transient stays, we charge 30% of each guest’s booking fee. Transient stays are those anywhere between 1 day to 3 months. We charge a one-time setup fee to cover the initial costs we incur in “dressing up” or staging your unit for marketing, to make it attractive for prospect tenants. This is also where we take our initial costs from, for showing the unit to interested/prospect tenants, screening inquiries for qualified ones, and for preparation of necessary documents such as the lease/rental contracts and the notices to the building admin. This is also where we take our hard costs in marketing (paid advertising). This “dressing up” does not include any alterations in any fixed interior design of your unit. It also does not include addition of any large-sized or heavy furniture. It only involves thorough, professional cleaning (if required), possible re-arrangement of furniture and appliances, addition of removable ornaments like table centerpieces, flower vases, corner vases, frames, etc. ; proper bed setting, use of curtains as appropriate, and other similar home improvements. This one-time fee will never recur during the continuous validity of our property management engagement, regardless of the length of our service engagement and regardless of how many lease contracts we have already signed for your unit. We only charge this at the beginning of our property management engagement. However, if at some point in time, you decide to end our management engagement and then later on decide to put your property back into our management, we will have to charge the signup fee again. We conduct an ocular visit to your property before any official agreement is signed. Afterwards, if we are not confident we can get your unit tenanted in 3 to 6 months, we will not proceed in entering into a contract so that we will not waste your setup fee. The guarantee we provide is that your property will be marketed according to our latest and best-performing marketing strategies. The same marketing strategies we implement for all the other properties we manage. These marketing strategies so far, have produced us 96% occupancy rate within 3 months from the start of campaign. This doesn’t mean the other 4% didn’t get rented, they just took longer than 3 months. All our marketing efforts require us to spend money. If we know right from the start that our marketing methods won’t work well for your property, we won’t waste your time and we won’t accept your money. If we make a mistake and we do accept your money, that means we will keep spending our own money in marketing your property until we get a qualified tenant. That’s it, nothing more, no hidden charges from us. However, some expenses are subject to negotiation with the tenant. These expenses include the utility bills, association dues, property taxes. Also, whenever there are hard costs in the maintenance of your unit, it will be on your account, we’ll just be there to make sure maintenance is being rendered properly. We conduct a rental market survey before we start offering your unit for rent to the public. This is for us to determine and recommend to you an optimum figure for the rental rate. After conducting our rental market survey, you will get a report from us with details on how we came up with the figure we recommend to you. It is not required that you agree to this rental rate that we’ll recommend. You have the final say on how much you want to offer your unit for. You can just base your decision on the figures and data that we present to you in the rental survey. This will depend on several factors. For one, whether or not you agree with our recommended rental rate in our rental survey report. Other things that will matter are the furniture you provide in your unit and the location of the property. These requirements are for security verification purposes only. And in the case of the Deed Restrictions, we require it so that we will be aware of the restrictions imposed on the property, hence, we will be able to comply with them. When we accept a property into our management, we actively put a lot of effort into it starting from dressing it up and preparing it for marketing, up to the actual marketing itself and screening inquiries for qualified tenants. Our commitment to taking care of your property and getting you qualified tenants, for your property to generate income quickly, requires us to spend our own resources, especially time. Because of this dedication, we made it part of our service contract that we have exclusive authority to market, advertise and offer your property for rent or lease. We require this exclusivity since we are also taking on a lot of responsibility when we accept your unit into our management. If other brokers and agents are open to market your unit and they happen to refer a tenant ahead of us, they collect their fee and we cannot, since we only collect our service fee when we have signed a tenant for you. But the obligation to carry out the maintenance, payment of recurring bills, repairs, etc., remain with us and will not be transferred to the other broker or agent. So we end up providing our services without getting compensated. In our property management contract, the owner gives our company the authority to execute lease contracts with tenants, in his behalf. So it will be the authorized officer of PPE Inc. who will sign the lease contracts. After the lease contract is notarized, we will send a copy to the owner for his own records. We have this arrangement because our services are mainly for absentee property owners. Most of our client-owners are not available to personally attend to the things needed for the rentals of their property. So we take initiatives to greatly minimize the inconvenience on their part. Our purpose in doing it this way is for the protection of both the property owner and the tenant. As the intermediary firm, we have responsibilities both to the tenant and to the property owner. Since we sign the lease contract with the tenant, we are the ones who are directly in contact with them and consequently, the ones they would directly hold accountable for their security deposit upon the end of the lease term. If we turn the security deposit over to the owner and for some reason, whether justifiable or not, the owner is unable to return the money at the proper time, we will be the one to answer for it to the tenant. On the other hand, our responsibility to the owner as per our service contract, includes keeping the property in good, tenantable condition. This places on us the burden of being careful in choosing our tenants. And to help secure that purpose, we collect a security deposit from the tenant. As soon as the need arises for us to charge against the security deposit, we can conveniently do so. This works in favor of the owner to cover the financial risk with having a tenant. We keep the security deposit only for the same purpose the owner would keep it if there was no intermediary party like us in the transaction. Moreover, if we have to terminate our service engagement and we still hold a security deposit from an existing lease, we will promptly turn over the deposit to the owner, or his authorized representative. The tenant will just be advised accordingly, so that they will not ask us anymore for its return when the time comes. Our monthly accounting period follows the calendar months. We furnish the owner with a summary Statement of Accounts for his property/ies every month, on the 20th day of the succeeding month. At the same date, the net rental proceeds due to the owner for the corresponding accounting period shall also be deposited to his account. In case the same falls on a Saturday, Sunday or a public holiday, the statement shall be sent on the next working day and the rental proceeds due to Owner shall be deposited on the next banking day. It will be our company. There are recurring bills and expenses that are charged to the owner’s account, and part of our services is getting these bills paid. It is from the rental payments that we take the money to pay these bills. So, it is necessary for us to be the first recipient of the rent to conveniently carry out our other responsibilities to the owner. These expenses will appear in the statement of accounts that we send to the owner every month. The net amount is what we deposit to their bank account. Do you have other questions not on the above list? Visit our knowledgebase to get your additional questions answered right away. Of course, you may also message us anytime using the contact form on this page. For commercial units and management of bulk residential units (more than 5), we are open to having special arrangements with you too.